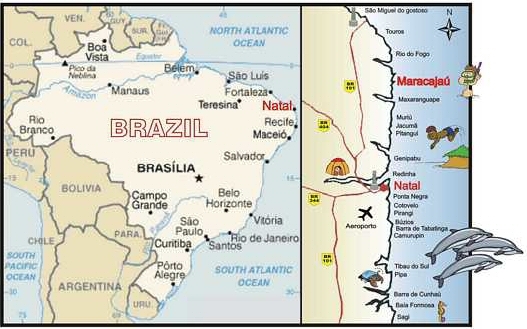 Brazil dream destination full of both adventure and constant fun find Accommodation We are here to help you realise the dream of visiting this paradise, where the sun shines virtually twelve months of the year. 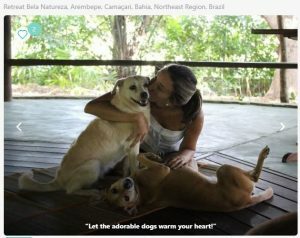 7 Days Creative Nature Yoga and Meditation Holiday with Healing Dogs in Bahia, Brazil. At this small rustic eco-retreat in Bahia, Brazil, Retreat Bela Natureza Brazil welcomes individuals as well as groups seeking balance and inner peace. They offer packages which focus on the loving and playful contact with their family of 13 dogs that lives at the retreat. There, you can relax and get energized, and enjoy one introductory yoga class. In the loving company of the resident dogs, you will find a nurturing atmosphere for body and soul. It is a perfect retreat for animal lovers who want to know more about the relationship between humans and dogs, and for families with children that want to learn more or work on their contact and interaction with dogs. Let the Brazilian sun warm your body and the adorable dogs warm your heart! 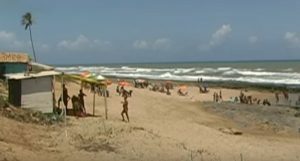 Joao Pessoa undiscovered paradise in Brazil. Click above for the list of Holiday Accommodation in Rio de Janeiro. Click above for the list of Holiday’s in Sao Paulo Brasil. Click above for the list of Holiday’s in Salvador. and where housing costs are a fraction of the uk and other EU countries. 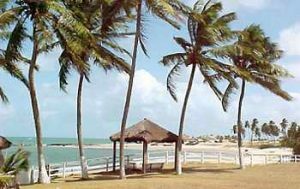 Porto de Sauipe Bahia local Accommodation Porto de Sauipe Brazil one of the most beautiful regions of Bahia 3 reasons to visit tranquillity, relaxation and beaches. Plus ideal Accommodation 4U. Brazil (South-America) Vacation Travel Video Guide. Brazil is a country of both the superlative and also amazing contrast, with dynamic metropolises, cultural centres and untouched nature. It is the largest country on the South American Continent. We begin our journey in Rio De Janeiro, the secret capital of Brasil, a veritable firework display of unashamed joie de vivre, football, samba and religion. The focal point of today’s Rio is the monumental glass cone of the Catedral Metropolitana that measures eighty metres high and looks like a Mexican pyramid. The Rua Do Ouvidor, with its elegant old buildings and splendid shops, is a reminder of the city’s historical and commercial importance. Portuguese settlers founded the city and sugar cane and gold made Rio’s colonial rulers extremely rich. In former times the coastal towns were protected by fortresses and canons. Paraty was one of those romantic locations, south of Rio on the Costa Verde, a gem dating back to Brasil’s colonial times. Around five hundred kilometres north of Rio and deep within the Brasilian state of Minas Gerais, is a most remarkable place. Ouro Preto was discovered at the end of the seventeenth century by Portuguese gold prospectors who discovered ‘black gold’ that changed colour due to its iron content. São Paulo is one of the mega cities of the twenty first century and with a population of twenty million it is the economic heart of Brasil. The railway helped to transport cotton and later coffee, and its large station, with British-designed clock tower, became an important symbol. Brasil is synonymous with sunshine, samba and exotic nature, a dream destination full of both adventure and constant fun! Take A Break Holidays takeabreakholidays, Brazil Accommodation. San Francisco De Asis, Urb Marina, San Fulgencio, 03177, Alicante, Spain.